DescriptionNumbers 1 to 12 table numbers printed in Gold on quality card, pretty edging and cut out hearts on the top to complete the look. These Table Numbers are free standing. Each Table Number Card measures 11 x 5.5 cm. 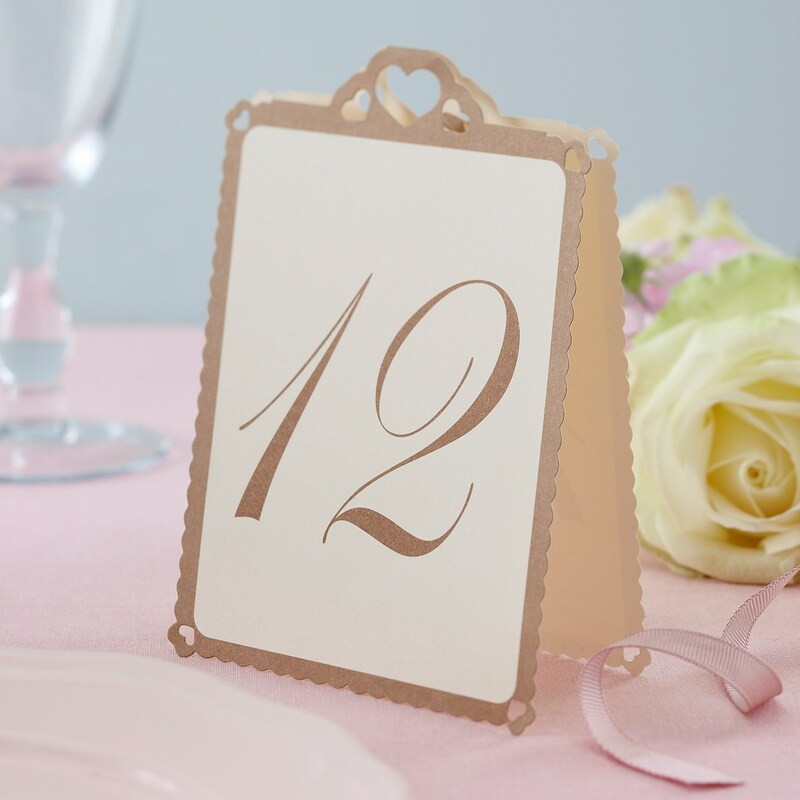 Numbers 1 to 12 table numbers printed in Gold on quality card, pretty edging and cut out hearts on the top to complete the look. These Table Numbers are free standing.